​Our work with young people takes place in schools and colleges, in the community and at our own workshop and training programme which incorporates City Eye Film School and the Youth Film Festival Team. 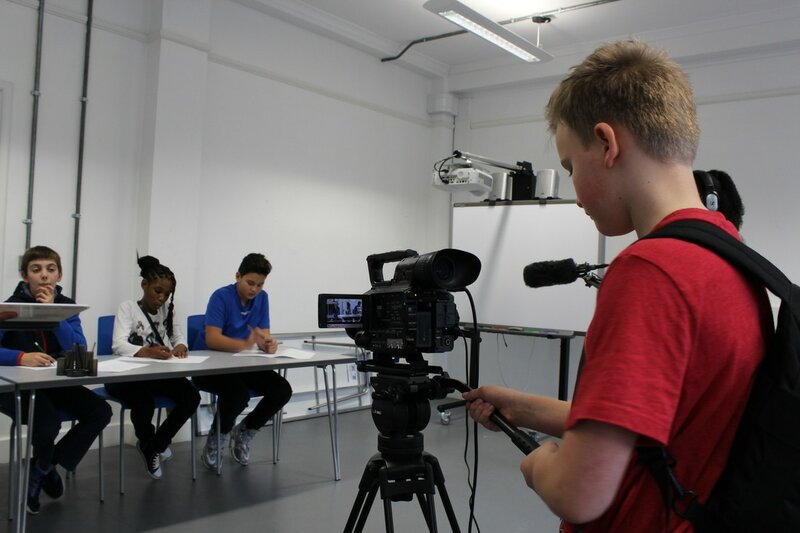 Some of our work is film focused - teaching film skills and film appreciation - and some is more focused on the issues and particular interests or circumstances affecting the group or individual. Always, however, the film process is invaluable in the process of helping young people to develop a range of soft skills from confidence and communication to team work and social skills. City Eye has supported young people in achieving Arts Award in a range of settings and we currently offer groups and individuals the opportunity to work towards Discover or Explore, Bronze or Silver Arts Awards. Arts Award supports young people who want to deepen their engagement with the arts, build creative and leadership skills, and to achieve a national qualification. Through Arts Award at five levels, children and young people aged 7-25 can explore any art forms including performing arts, visual arts, literature, media and multimedia. The award builds confidence, helps young people to enjoy cultural activities, and prepares them for further education or employment. Arts Award is managed by Trinity College London in association with Arts Council England, working with 10 regional Bridge organisations. • Take part in the arts – participating in practical workshops led by professional filmmakers. We offer bespoke workshops tailored for your group and activities that young people can take part in during the holidays. • Be the audience – attend film screenings and engage in a range of activity to support interpretation and understanding of the work viewed. • Form a view – opportunities for young people to present and/or communicate their view about an arts/cultural issue as part of a discussion workshop. • Arts Leadership – we provide bespoke opportunities for young people to develop their leadership and project management skills through a range of projects and activities including the Southampton Film Week Youth Film Festival project, work shadowing days and careers talks/days. Discover in a Day – these one-day workshops can either provide young people with their first introduction to Arts Award and/or enhance their portfolio work on other levels (for e.g, Explore, Bronze and Silver). By developing a relationship with the Gallery, through these supporter offers we can become a key partner in your Artsmark application.